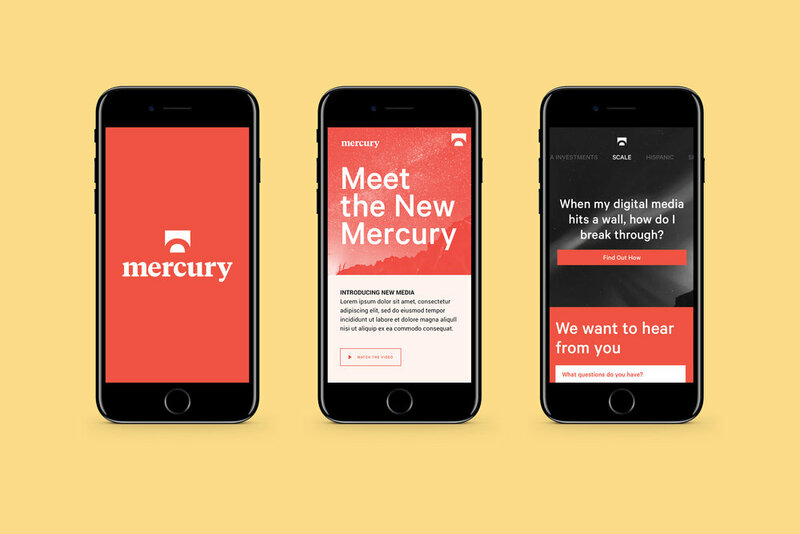 Mercury Media is a leading pioneer in performance media marketing, balancing innovative technological solutions with genuine and personalized client service. 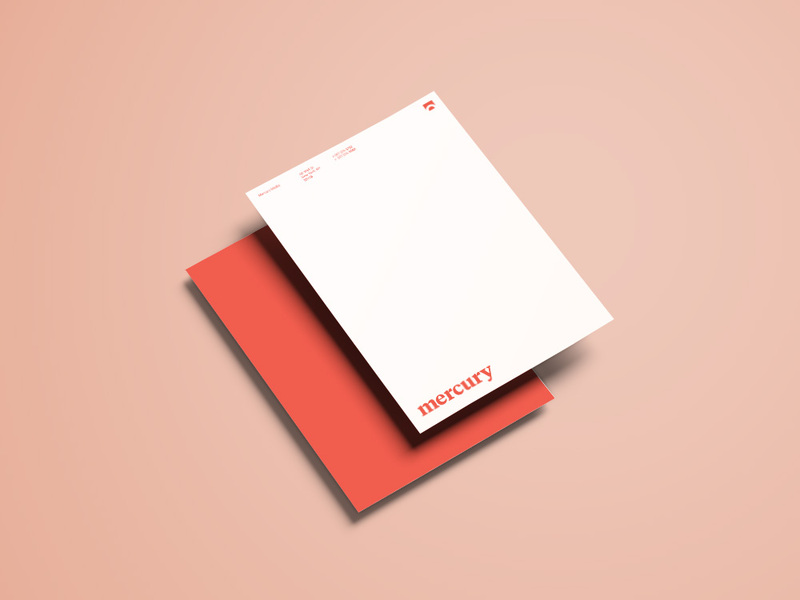 They approached us to refresh their visual identity to better represent the direction the company was moving— and to better showcase that balance of analytical, data-driven thinking and real relationships and deep, individualistic understanding to getting their clients the results they've come to expect from Mercury Media. Created in partnership with Zack Robbins, Gail Barlow, and Jeremy Villano. Logo and word mark lockup and safe-space guidelines. 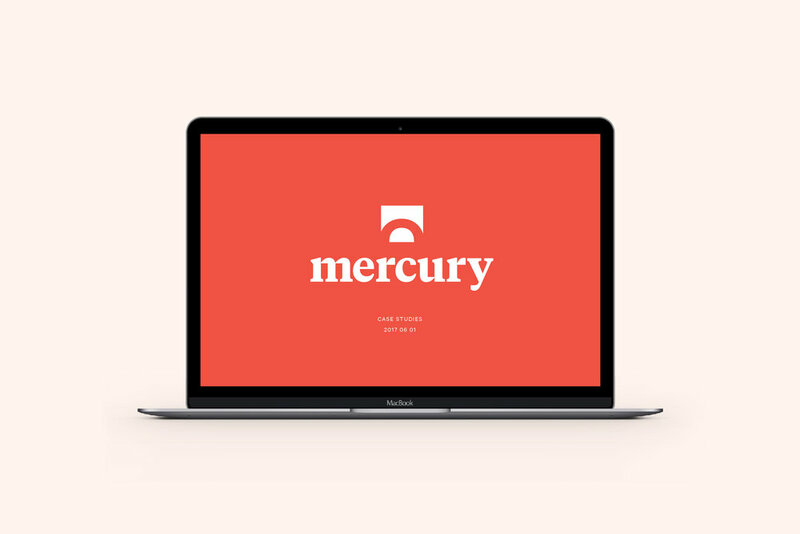 We simplified the name from the previous camel-case combination of “MercuryMedia” to just “mercury” to represent a more approachable and colloquial relationship between client and agency. Logo concept and evolution. Based on the concept of “Mercury Rising”, the logo mark takes inspiration both from the idea of a rising planet (Mercury) as well as the rising temperature of a mercury-based thermometer. 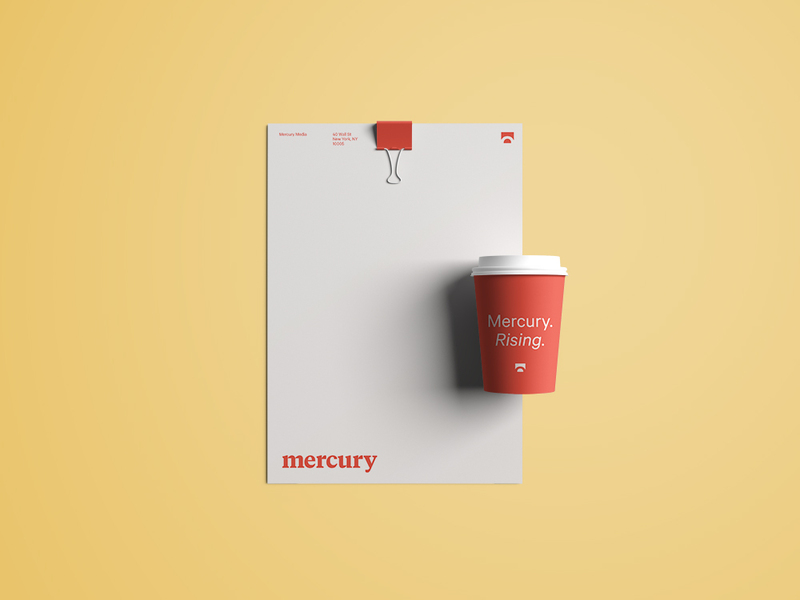 Both ideas signal the energy and ambitions of Mercury Media leading into the visual identity overhaul. To finalize the mark, we used the degree glyph (°) from the typeface Tiempos that was chosen as the foundation of the Mercury word mark to form the rising arch of the logo. 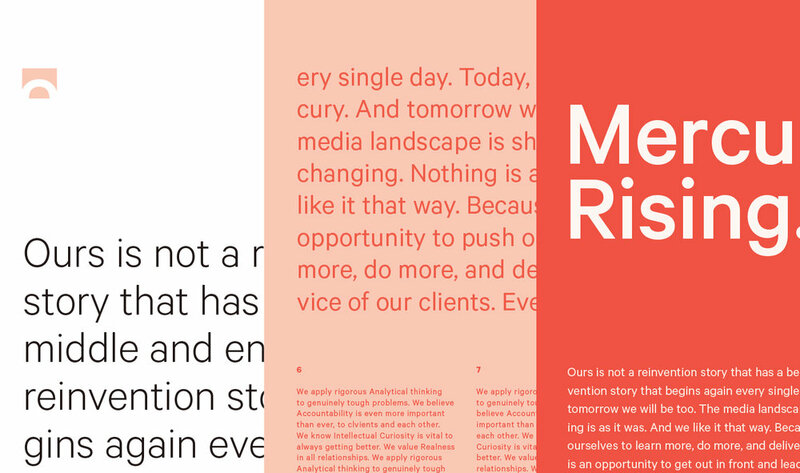 Type specimen to showcase usage of the secondary brand font, Calibre. Mobile website creative direction. Designed and developed by Vector.